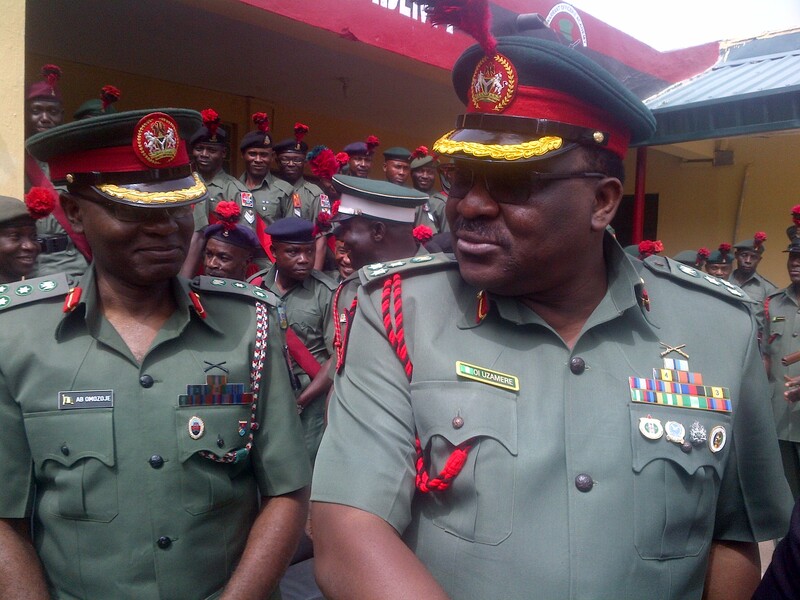 Commandant, Warrant Officers’ Academy (WOA), Nigerian Army, Jaji, Brigadier-General Osasogie Uzamere, has said that the Nigerian Army needs capable leaders at the helms of its affairs in order to always be on top of fights against insurgency and terrorism. He stated this during the inauguration of 60 warrant officers, who had just commenced a 22-week leadership course, 28 of 2016 at WOA’s headquarters in Jaji, Kaduna yesterday. Prior to the commencement of the course, Army headquarters had allocated 100 vacancies to various units and formations that in turn, sent their nominees to WOA for screening, but only 96 candidates reported for the screening exercise out of which best 60 were eventually selected for the course. According to the commandant, the academy had used aptitude, physical fitness and medical test as yardsticks for the selecting the best 60. “The Nation and the NA is presently confronted with security challenges ranging from, terrorism and insurgency in the North-east, ethnic clashes, rise in activities of cattle rustlers, kidnapping, political assassination and rise in the activities of eyhnic militia and pipeline vandalism in the Niger Delta. “Our Army needs capable leaders at all levels and l know we all yearn for a better Nigerian Army and functional responsive as the Chief of Army has encapsulated in his vision and we are the ones to make that to happen not Chadian nor Niger Army but Nigerian Army that would make the change. “So l want congratulate all of you who have had the opportunity to be part of this course, and there are many who wanted the opportunity so you have the opportunity now to increase your understanding and knowledge of what it take to be a leader and if you do that correctly, it means you have set yourself up to be elevated. “So we have the responsibility to take the great advantage of this opportunity so that when you are leaving here, you would better than when you came and when we all do that, we create the Army that we dream and we leave a legacy so that tomorrow, we can look back with pride and say this is what we have been able to achieve,” added the commandant. The students would undergo various activities encompassing field training exercise, unit administration and logistic system in peace and war time.